"Dette produktet kan ikke leveres lenger." Enten så dreier det seg om en eldre modell eller vi kan/kommer ikke til å etterbestille produktet hos produsenten lenger. The Alugator Pro avalanche shovel is a durable shovel with a long shaft. The blade is made of high-quality hardened and anodised aluminium. 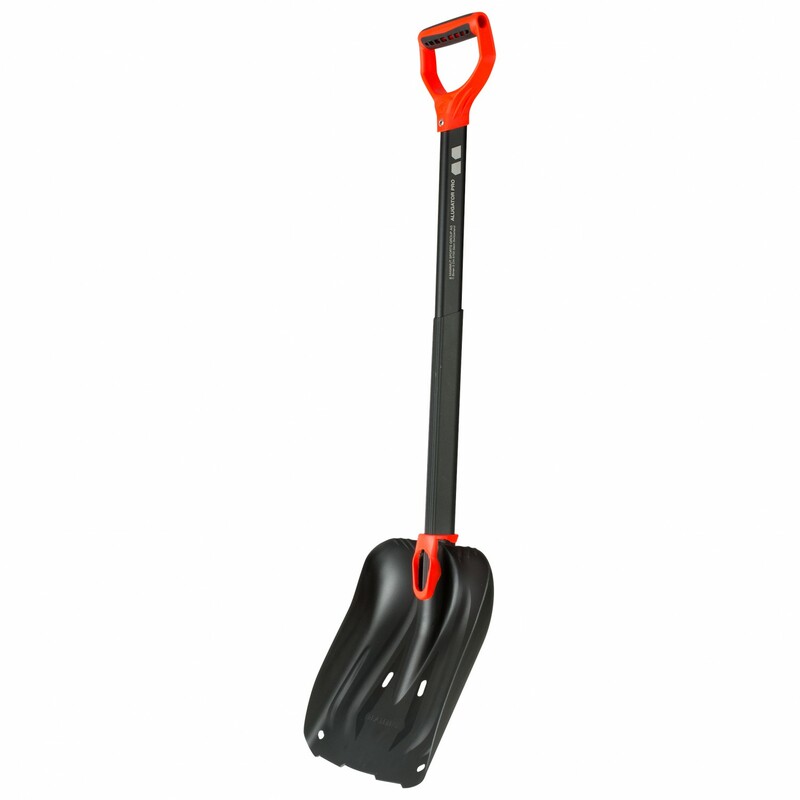 Plus, the avalanche shovel is equipped with an oval-shaped telescopic handle with an integrated grip zone as well as automatic locking for quick and precise guidance during assembly. The D-handle will give you optimum shovel control, and the sharpened blade comes complete with ribbing for excellent rigidity. There are attachment holes for building a snow anchor and rescue sled as well.